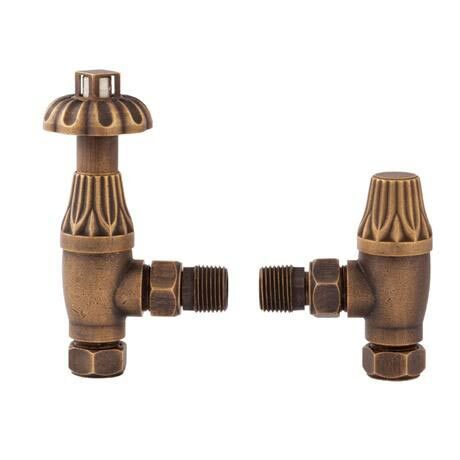 The Hudson Reed Traditional Angled Radiator Valves are a high-grade matching pair of Antique Brass traditional style thermostatic radiator valves and lock-shield. Stylish and sleek, and perfect with cast iron radiators. Comes with a 20 year guarantee.